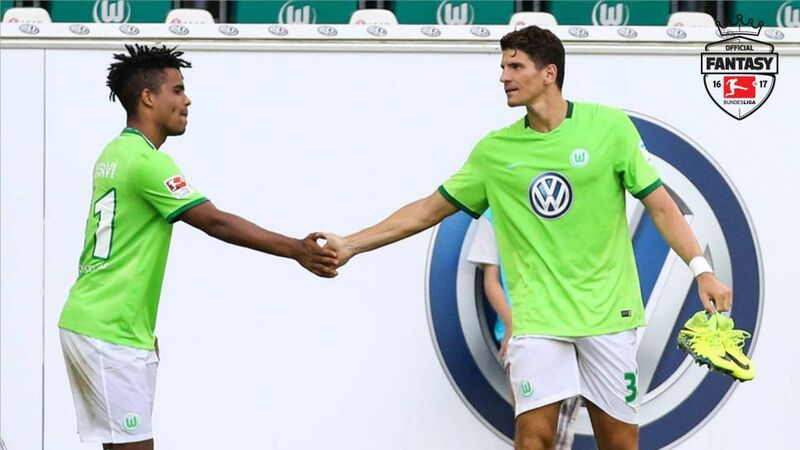 Daniel Didavi (l.) and Mario Gomez (r.) have already been among the goals since their summer arrivals at VfL Wolfsburg. VfL Wolfsburg underlined their intentions for the season by signing Germany international Mario Gomez towards the end of the transfer window. Gomez is an Official Fantasy Bundesliga snip at 11.9m! Snap him up here! Fresh from winning the Turkish title with Besiktas JK – and finishing as the league's top scorer – the 31-year-old may not have been fit and ready to makes his competitive debut on Matchday 1, but the international break has given him an opportunity to shape up and his first outing in a green shirt showed how sharp he is. The former VfB Stuttgart and FC Bayern München forward scored the only goal of the game in a friendly against Bundesliga 2 side SG Dynamo Dresden, heading in a Marcel Schäfer cross to earn the Wolves a 1-0 win. "The match was a chance for Mario to see where he's at, and he saw how far he is already," said Wolfsburg coach Dieter Hecking. "He scored and had four more good chances." Gomez preferred to let his actions do the talking, declining the opportunity to discuss his debut with the media after the final whistle, but he did not need any words to confirm what the rest of the Bundesliga already knew: Gomez is back, as deadly as ever. "He's proven how consistent he is and that he can score in any league," said a man who knows a thing or two about finding the net: last season's Bundesliga top-scorer Robert Lewandowski. "He's a super forward and he's definitely going to score quite often," added the Pole in Sport Bild magazine.